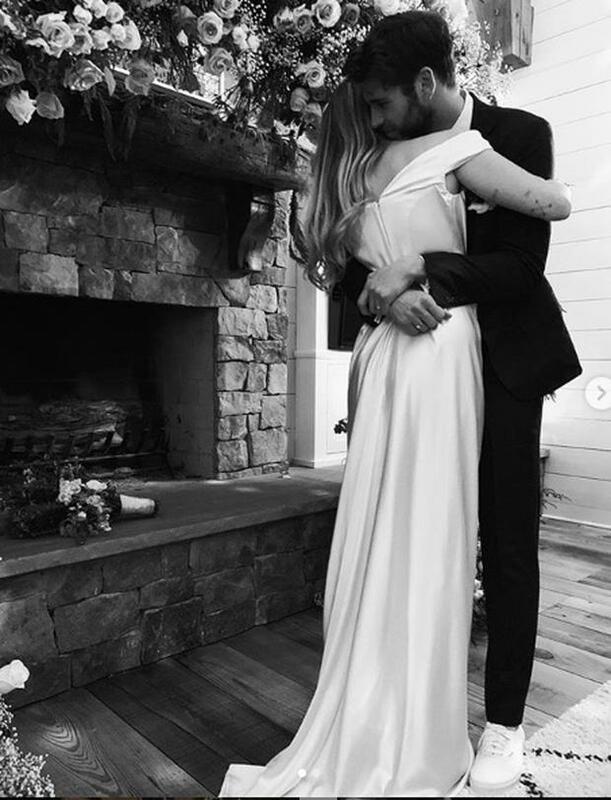 Miley Cyrus and Liam Hemsworth's low-key wedding this month warmed hearts around the world, and it turns out a living room vow exchange is a family tradition in the Cyrus household. 10 years after they first met filming The Last Song, the Wrecking Ball singer and The Hunger Games actor wed in their Nashville home with just a handful of guests, comprised of close friends and family. Miley wore a custom Vivienne Westwood gown and Liam wore a classic black tuxedo and it looked like the kind of elegant affair that only two young millionaires in love could pull off. 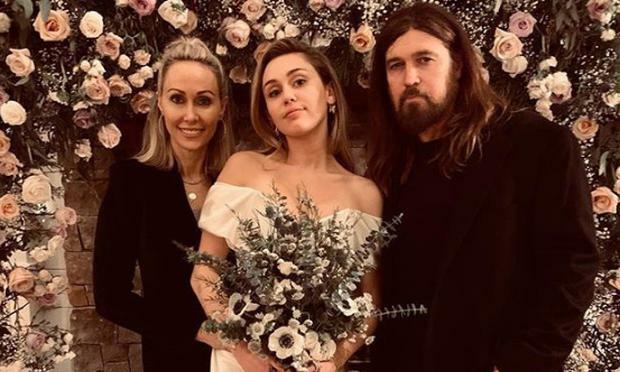 But the newlyweds may have taken some inspiration from Miley's parents Tish and Billy Ray who married in their own living room 25 years ago. Tish shared a picture from her own big day for her silver wedding anniversary, with the caption: "25 years ago today @billyraycyrus and I stood in our living room in Franklin, TN and said 'I Do,'" she captioned the picture. "I would definitely say everything has come full circle! I love u Lovey..... if I had to do it all again, I wouldn’t change a thing. #happyanniversary." Since their high profile split and reconciliation in 2016, the happy couple have taken a more discreet approach to their relationship and never officially confirmed their engagement was back on. "It is what it is and I am not someone who is looking for any more attention that I have and I try not to draw attention in any way," he said two years ago. "I don’t do things that do draw attention. So most of the time I fly under the radar. There is a lot of attention there but I did have a helicopter flying over my house for a while." The Cyrus-Hemsworths are now on a family honeymoon in Montana. The demise of skinny jeans: has this beloved denim trend finally seen its day?